"Aliens love underpants, of every shape and size, but there are no underpants in space, so here's a big surprise!". Based on the on the book and fantastic rhyming story by Claire Freedman and Ben Cort, Big Wooden Horse and Nick Brooke Limited present a live theatre show of the zany tale for the over 3s. 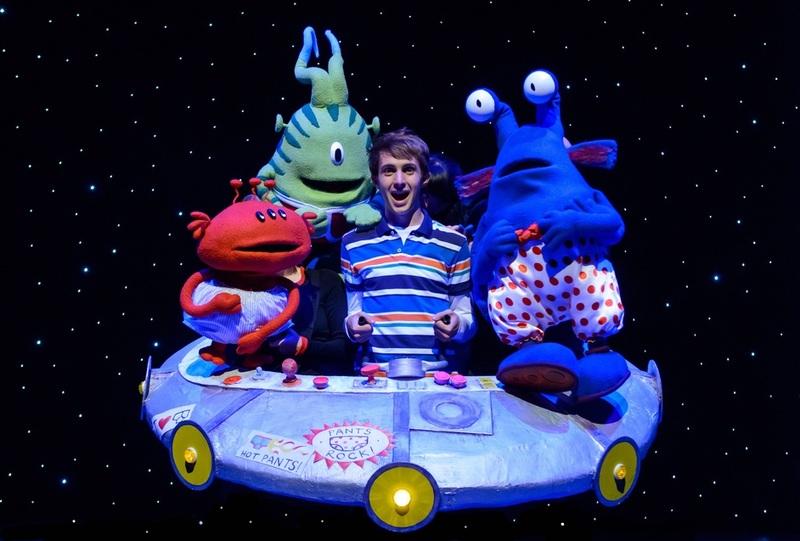 The story is brought to life, adapted and directed by Adam Bampton-Smith, with clever use of puppets, special effects, madcap action, original music, lots of aliens - of all shapes, colours and sizes - and pants! What are the best dining options near Aliens Love Underpants London? Aliens Love Underpants gyms, sporting activities, health & beauty and fitness. The best pubs near London Aliens Love Underpants. Aliens Love Underpants clubs, bars, cabaret nights, casinos and interesting nightlife. Where to have your meeting, conference, exhibition, private dining or training course near Aliens Love Underpants. The company presents its version of the classic love story as a comedy with an all-male cast. From cheap budget accommodation to luxury 5 star suites see our discounts for Underbelly Festival hotels, including Corinthia Hotel London from 97% off.